The Committee on the Rights of Persons with Disabilities has published the concluding observations on Italy's initial report regarding the situation of persons with disabilities and related rights as embodied in the Convention on the Rights of Persons with Disabilities (CRPD). The Committee notes with appreciation the adoption, in 2010, of the National Disability Action Plan. Among the areas of concern, the Committee notes that multiple definitions of disability exist across italian sectors and regions and this can lead to disparity in access to support and services. Furthermore, the Committee is concerned with the fact that the organizations that represent persons with disabilities in Italy do not have a permanent consultative role in developing public policies. Another concern is the definition of disability by Italian authorities, which continues to be perceived in a medical perspective and is, therefore, not in accordance with the Convention. 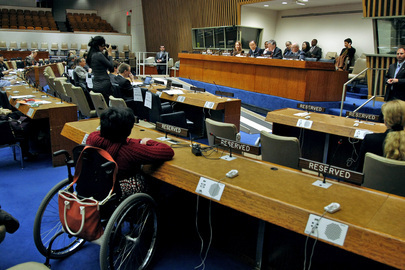 The Convention on the Rights of Persons with Disabilities has been approved by the General Assembly in 2006. It has been ratified so far by 167 states and by the European Union.